One of the major features we can see in 2019 smartphones is the 5G connectivity. 4G have been loved by the users worldwide. But we want more fast and more smooth connection, which can transfer our data in seconds. 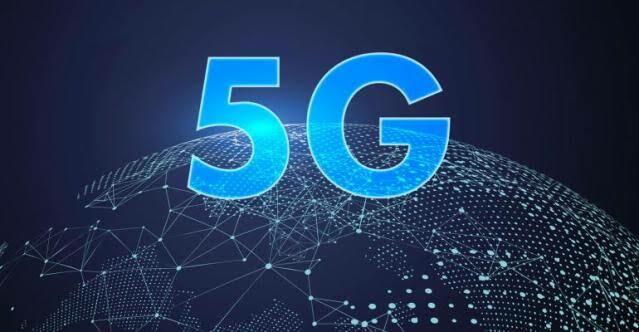 In smartphones, we can see 5G connectivity very soon as the major chip manufacturing company, Qualcomm has already launched its latest flagship processor with 5G connectivity by the end of 2018. Some device manufacturers also has promised to bring 5G enabled devices this year. Huawei is also working on its first 5G supported chipset which can be the Kirin 990. But before 5G enabled devices, we need the 5G ready areas. Many telecommunication companies have already started testing 5G and some of them have done it successfully. So it can be expected that 2019 will be the year when we see 5G connectivity for the first time. As per researchers, 5G can be 100 times faster than the 4G services. And if this happens, the whole world will have new look. We can add multiple devices in a network and make them work for us in milliseconds. Imagine about controlling your AC, Washing Machine and devices that we use daily by just a smartphone. It is possible even now but 5G network will make it more smooth. Even some researches say that we can drive cars without using our hands. Well this sounds like a dream now but we can see this very soon, when 5G arrives. Maybe not in 2019 but in the upcoming years. Flexible devices have been discussed since 2011, when Samsung released an ad teasing the first display that can be folded. Since then, smartphone users are waiting for their dream smartphone that can be bended and will not break still. We have already seen a glimpse of that type of device in 2018 when a small display manufacturing company named Royole Technologies brought the first flexible display device. It was the Flexpai, a tablet that can be folded to use as a phone. It was almost a prototype though as it had a number of issues with it. But 2019 will be packed with these kind of products. Not the faulty ones, but the devices with flexible displays. As Samsung has already showcased its foldable smartphone in Samsung Developer Conference 2018. Well it wasn't a full device announcement but still we can expect that Samsung will bring its foldable smartphone in 2019. Also major smartphone brands like Huawei, LG also had promised to bring their foldable smartphones within this year. One of the major trends of 2018 was the notched displays. When device manufacturers decided to provide best possible screen to body ratios, many technologies like sliding mechanism with motorised or manual action, dual displays appeared. But none of them were the permanent solution. But Samsung and Huawei brought the best possible way to remove the notch. It was the punch hole displays. They did a hole in the display to place the front camera in the display. 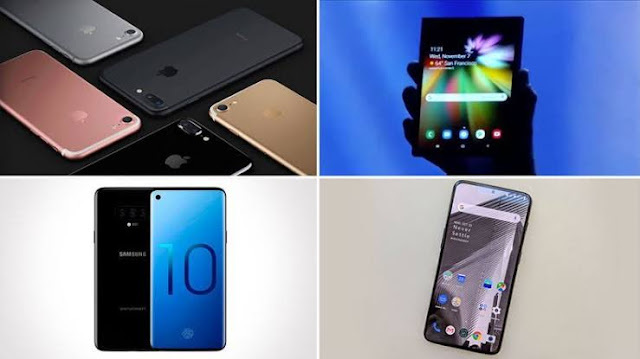 But the manufacturing cost of the new technology can restrict the smartphone makers to provide it in the mid range phones. So in 2019, we will see punch hole displays majorly in the premium segment phones. 2018 has been a year of notches. We have seen many sizes of notches, the regular one, smaller, larger etc. But the best implement of it was the waterdrop notch. It was first used in the Oppo F9 Pro and Vivo V11 Pro. But now we have many devices which uses the same place for the front camera. While the device makers are working on removing this stuff we will still see this in 2019. As the most possible way to remove the notch had arrived as the punch hole display but the mid rangers will still have the notches. As the price of the new technology will be quite high, this display will not feature in the midrange phones at least in 2019. So the best way to increase the screen to body ratio is placing the waterdrop notch instead of regular notches. In this way, the devices will look better and the users will get better experience. Dual cameras started to trend in the start of 2018. Even the entry level phones had it at the mid of the year. But the premium devices went a step ahead. Soon we saw more cameras on both the sides of the smartphones. We saw 4 cameras on the rear side and 3 on the front side. But 2019 can increase the numbers. We can see the first smartphone with 5 lenses on the rear before the end of the first month of the year. Nokia can be brand and the Nokia 9 Pureview can be first smartphone to have a Penta lens setup on its back. Even LG has filed a patent with 16 cameras in it. No doubt, we can see better camera modules this year with increasing number of cameras. 2018 has confirmed one thing, smartphones will get better day by day and the prices will decrease as well. We saw a number of brands focusing on quality of their products and cut the pricing of the devices. As we saw the monopoly of Xiaomi in the budget segment before the start of the year 2018 and we thought that there's nobody to compete Xiaomi in this segment. But 2018 changed everything and now we have brands like Asus, Realme, Nokia and Lenovo giving a tough competition to Xiaomi. With this competition, consumers has got the best benefits. We have got a number of devices with better specs and pricing than Xiaomi. The Asus Zenfone Max series phones, Realme's all mid range phones and Lenovo's S5 and Z5 series have a lot better features in them. All this things will be carried on to 2019 also and consumers will get better experience with their smartphones. One of the major changes we got to see in 2018 was the use of artificial intelligence in the smartphones. This is not limited to flagship devices anymore. It came in the budget segment also. We saw the MediaTek helio P60, P70 and Kirin 710 with AI capabilities in the budget segment. Next gen AI functionalities in the Kirin 980 chipset. So definitely 2019 will bring more AI capabilities to the sharpness and the users now can use the "digital wellbeing" feature to get a better balance between tech and life. The latest Android Pie (9.0) has the feature in-built and devices will be more user friendly. These were all we can expect from the new year. Hope the smartphones go beyond our imaginations and we get more better and budget friendly. With this expectations, wishing you all a very Happy New Year ahead. Stay blessed, stay safe and stay connected. And keep following us. Thank you. 2. Asus's Zenfone Max Pro M2 vs Xiaomi's Redmi Note 6 Pro: Is the competetion still the same?